You’re reading novel The Demonic King Chases His Wife: The Rebellious Good-for-Nothing Miss Chapter 1083 online at LightNovelFree.com. Please use the follow button to get notification about the latest chapter next time when you visit LightNovelFree.com. Use F11 button to read novel in full-screen(PC only). Drop by anytime you want to read free – fast – latest novel. It’s great if you could leave a comment, share your opinion about the new chapters, new novel with others on the internet. We’ll do our best to bring you the finest, latest novel everyday. Enjoy! One could see those light green tender leaves of the Variant Acacia Tree, quickly turn into a dark green color. Afterwards, a thick layer of fog surrounded the Variant Acacia Tree like a coc.o.o.n, so thick that people couldn't see what was going on inside. One could only feel the spirit energy of heaven and earth rush into that thick layer of fog. Gradually, the thick fog dispersed. When everyone saw it once again, they couldn't help but be gobsmacked. The Variant Acacia Tree's originally dark green leaves had turned into a golden color, giving off a dazzling l.u.s.ter. Right now, it continuously grew longer and thicker. It's tough thick vines extended unbounded in all directions, as if it would never stop. "Such a great formidable feeling ah!" Zi Yan exclaimed in surprise. She could feel that fresh and pure spirit aura bursting out from the Variant Acacia Tree. All of a sudden, Luo Haochen's eyes lit up! "Spirit Gathering Tree!" Luo Haochen cried out in surprise, "This is a Spirit Gathering Tree!!" What's a Spirit Gathering Tree? Su Luo was extremely puzzled. She had never even heard of it. However, the rest of the people's eyes exploded out with brilliant radiance, hot as sunlight. Su Luo's heart became a little scared from being stared by them. "What are you guys doing?" Su Luo looked at Beichen Ying's hungry-as-a-wolf's gaze and weakly asked. "Sister-in-law! Spirit Gathering Tree ah! Don't tell me you have never heard of a Spirit Gathering Tree?!" Beichen Ying wished he could shake her by the shoulders. Spirit Gathering Tree ah, this was a real Spirit Gathering Tree! Which clan, which huge influential power, didn't want to have a Spirit Gathering Tree? Having a Spirit Gathering Tree was equivalent to possessing a bright future. When Su Luo's doubtful gaze turned towards Nangong Liuyun, Nangong Liuyun only revealed a bitter smile. That's right, Su Luo indeed succeeded, her luck that defied nature, made the Variant Acacia Tree transform two times. But her luck was really too good, excessively so!!! Not only did she bring about the Variant Acacia Tree's second transformation, but she also made it transform a third time! A plant spirit pet that could transform three times, in this entire world, it was unique, one of a kind. Nangong Liuyun and Su Luo started to talk at the same time. Su Luo wanted to ask, but she didn't know how to ask. Nangong Liuyun wanted to explain, but he had no idea on how to explain it. This Variant Acacia Tree transformed into a Spirit Gathering Tree, it was way, way outside of Nangong Liuyun's expectations. If he knew the result would be this, he certainly would be more low-key and search for a place without anyone else for Su Luo to secretly transform her Variant Acacia Tree. Rather than right now, in front of everyone, to expose this treasure. Nangong Liuyun forced a smile and touched his nose: "Luo Luo, this Spirit Gathering Tree has the exact meaning as its name." Exact meaning as its name? Could it be that her Spirit Gathering Tree could gather spirit force? "Yes, the Spirit Gathering Tree can absorb the energies of heaven and earth within a certain range. Afterwards, it would turn the energies into spirit force and discharge it." Nangong Liuyun slowly said this, stressing each word, "In other words, cultivating under a Spirit Gathering Tree, the result will be a bit faster." A bit faster in speed was just the low end of the theory. In fact, places with Spirit Gathering Trees, the cultivation speed would be multiplied by many folds. For example, regardless of how strong an expert, all of them needed to absorb the energies of heaven and earth, then through cultivation, they would transform it into spirit force. However, a Spirit Gathering Tree could automatically transform the energies, and the person cultivating only needed to absorb it. This kind of treasure that defied natural order, was now in Su Luo's palm. Nangnong Liuyun's gaze swept over the four people on the opposing team. His eyes were ink-black with hidden depths, abstruse like the ocean, and enigmatic, no one could see clearly the meaning in his eyes. You're reading novel The Demonic King Chases His Wife: The Rebellious Good-for-Nothing Miss Chapter 1083 online at LightNovelFree.com. You can use the follow function to bookmark your favorite novel ( Only for registered users ). If you find any errors ( broken links, can't load photos, etc.. ), Please let us know so we can fix it as soon as possible. And when you start a conversation or debate about a certain topic with other people, please do not offend them just because you don't like their opinions. You're reading The Demonic King Chases His Wife: The Rebellious Good-for-Nothing Miss Chapter 1083. This novel has been translated by Updating. 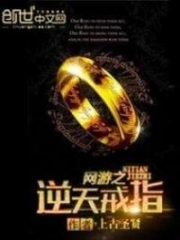 Author: Su Xiao Nuan,苏小暖 already has 10551 views. Current Time is Apr-21-2019 06:30:19 AM.